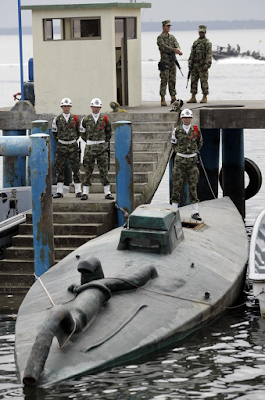 Colombia's cocaine production is at an all-time high, and that means narco subs. This year 14 have been caught - more than triple from last year. 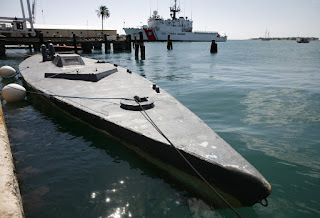 The term "narco sub" is applied to several different types of vessels. Most seized are low-profile vessels, which resemble "go-fast" boats. A vessel intercepted on August 1 was carrying more than 2 tons of drugs. One caught on August 15 was loaded with 3,800 pounds of cocaine. It's said $1 million goes into building a semi-submersible. 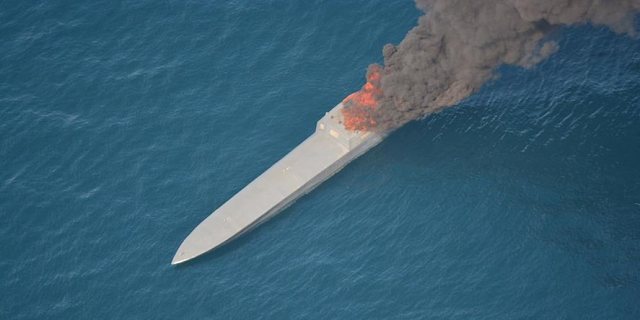 The US Coast Guard announced a "resurgence of low-profile smuggling vessels." Between June and September it had seized seven such vessels in the Pacific. 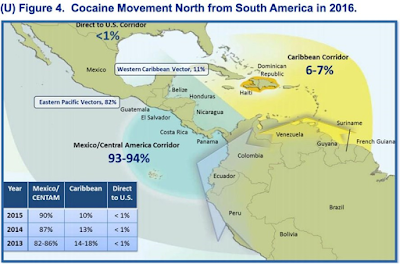 A kilo of cocaine could be worth less than $5,000 on Colombia's coast but reaches $15,000 in Central America and $33,000 in the US.